We are glad to announce Ganesh Utsav 2015 organised by Bruhan Maharashtra Mandal, Switzerland. We have invited a very famous, versatile and talented Marathi actress and Kathak dancer, SHARVARI JAMENIS, from Pune to give a dance performance for us on this occasion. Please do come and make this event a total success and also do profit from the membership advantage. Please use public transport as only very limited parking place is available. Train: S-Bahn S6 to Zurich Affoltern, 7 Min. walk. Bus : Number 62 to Zurich Affoltern (Stop: Unteraffoltern) 2 Min. walk. - If you have paid the membership fees at the film show (Paying Ghost) you are eligible for the membership advantage at Ganesh Uthsav 2015. 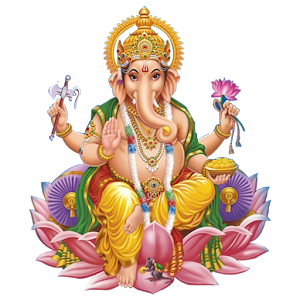 - At Ganesh Uthsav you can pay membership fees and immediately get the membership advantage for all the events in the coming year including Ganesh Uthsav 2015. - Volunteers are most welcome. Please contact Mrs. Gauri Abhyankar or Amol Sawarkar. - Please inform others and help us spread the word. - Registration is mandatory (to make sufficient arrangements). - Kindly fill the form below for your registration.